Billie Collins is a playwright, poet, and screenwriter from the North West. As well as the Writing Squad, she has been selected as a member of the Royal Exchange Theatre’s Young Writers’ Programme, the BFI Screenwriting Academy, and the National Youth Theatre. In 2016, she won the Cuckoo Young Writers’ Award (Northern Writers’ Awards, New Writing North.) She is currently studying for a BA in English at the University of Cambridge, where she also writes and performs theatre and comedy. Her first play Spiders was longlisted for the Bruntwood Prize for Playwriting in 2015, debuted in Cambridge to rave reviews in 2017, before moving to the Tristan Bates Theatre, London, in August 2018. It was described as a ‘fantastic… gripping, economical two-hander,’ and focused on two teenagers from opposite sides of the socio-economic divide living together in a squat. She has also performed spoken word poetry at the Roundhouse Slam and BBC Edinburgh Fringe Slam, as well as in guest slots at poetry nights in Liverpool, Manchester, and Salford. 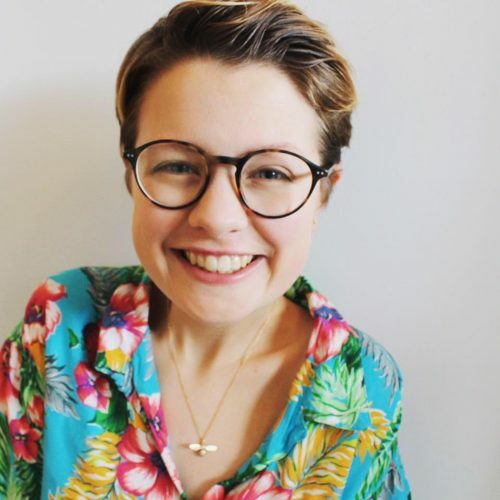 Additionally, she has spent several months writing funny non-fiction as a columnist for Violet (the blog platform of Cambridge’s student newspaper, Varsity), on topics ranging from women in comedy to tyrannosaur foreplay. Billie aims to write stories that are bright, emotionally honest and grab-you-and-don’t-let-you-go gripping. Theatre: Stormface (This As Well) (ADC Theatre, 2018), You Look Like a Violence (staged as part of the Bristol Old Vic Young Director’s Scheme).